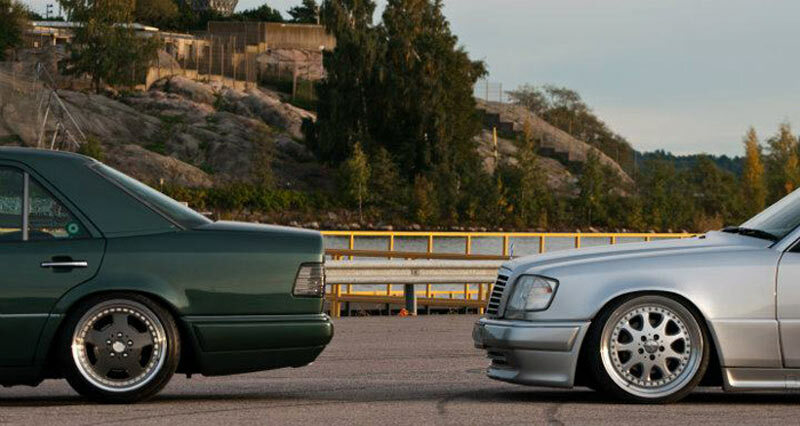 This Mercedes Benz w124 Estate sits on a nice set of Brabus Monoblock III. Mods include lowered suspension and AMG body Kit. Brabus Monoblock III fill the wheel wells quite nicely.